Customer service responds quickly to any problem or concern. Protect America offers very quick responses. They could do better in their quality and customer services. I was drawn towards Protect America because of the price that was offered. The device was easy to install. The contracts for Protect America are too long. The service is not perfect, it has it's faults. Protect America offers the cheapest rate, and you're able to install it yourself. Customer service has been easy to work with. I can call them anytime with problems or concerns and they take care of it. I had a couple of problems with the equipment in the beginning, but it was corrected. The equipment is easy to use, and I like being able to use the phone app. Protect America is a reliable company. I always get a quick response to my questions. I can log into the cameras in my house anytime. The equipment is reliable. The system is easy to work with and easy to install. Customer service ensured that I had everything set up and installed. 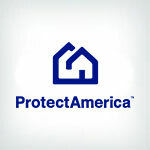 Protect America does a great job. I am satisfied with the cost and ease of set up. The service is very easy to work with. The service is easy and customer support is always available and helpful. I love the app that allows easy set up and access to the cameras. I had a couple problems with the equipment in the beginning. Customer service really reached out to me about my problem and took care of it right away. I have been nothing but happy with the equipment issued. Customer service is always available to stop any problems that I have and walk me through the service. When my alarm goes off, they call me extremely quickly. Protect America is very reliable. Everything is done over the phone which could be a little difficult. It would be nice to have it done in person. Customer service is friendly. I like how there are smartphone options available with the service. We have had some problems with the door sensors lifetime. I am not a fan of the equipment provided. They sent technicians out to install the equipment which was helpful. The beginning process was a little annoying. I had to keep calling back and forth in order to receive missing parts. Overall they've been very helpful and I got everything I needed done. The price is actually reasonable. The equipment is easy to install and maintain. Customer service is responsive and available to resolve any concerns. I like that the system is wireless. Whenever we have problems, we are able to call and right away get an answer. Protect America offers a good alarm system. The response time after an alarm is very quick. They send the product and don't offer any help in setting it up. Hey Linda, we are a self-install security service, but we do offer assistance by phone and all of our equipment comes preconfigured by a professional so that it’s only a matter of affixing our products in the correct locations. Could you please DM us with additional details so that we can assist you with your installation? Thanks and please let us know if you have any questions. After the initial start, they stop sending emails and support. I like how the product is wireless. You need to test every month in order keep the system online. Customer service is easy to work with. They always answer any questions or concerns that I have. Protect America protects not just the doors, but the windows too. I did have a situation with a slow response time to the alarm going off. They seem to have the best plan. I think the sensors are a little too flimsy. It has fallen when the doors were slammed. It is not hard wired, which is convenient. They've always been very responsive if anything happens. Every time we have called with a technical issue or problem, they've resolved it quickly. The best thing about Protect America is simplicity. It's very secure and reliable. The customer service is always there for me or there every time when I need it. They are always there on call when we have any problems. They just take the time to listen to your needs. They're patient and attentive. They're always available twenty four hours a day, seven days a week. The system is very user friendly. The customer service is great. They're very responsive. We got great service when we purchased additional sensors and they walk completely through the process on testing the instrumentation. I haven't had a problem because it's pretty self-explanatory. They've been able to take care of everything that I've needed every time I call. I think the cameras could be better but the installation on the other equipment is fine. The best part about Protect America is the mobile features and being able to control everything over the mobile app. Any time I've called, they've been very very helpful. I've never had any problems or something happen to any of the parts of the alarm system that they sent to me. Anytime I turn it off or arm it, it sends me a message. They're very customer oriented and they resolved my issue right away. It's very user friendly and there's no complications in installation or anything like that. I feel like it's a very solid company and I don't think it don't needs any more changes. The best part is that the system has an easy installation process. We have three different alarm panels in two different locations and we were able to get it all merge together in one that I can track or control for my app on my phone and on my computer. Once it's set up, it's dependable and their response is good when the alarm goes off. Their mobile app is challenging to navigate. I wish they had better customer service overall. Checking in with their customers or talking about the equipment or upgrading the equipment would be nice. They normally give me all the answers I need. It's easy to use. It's very good, very reliable and very easy to install. Every time I've needed them, they've been available. I feel safe and confident with them. Every time I've called, they've been very helpful. The camera barely works and it's hard to connect. I like the fact that I can look on the app and the security system from my phone. I wish I could be able to upgrade the equipment sooner then when my contract is up. The system was simple to install and simple to use. Overall, the customer service has been fine. I haven't had any problems with the equipment. I wish it didn't cost quite as much as it does so I recently had called actually to disconnect the service because I really didn't feel like I can afford it but I'm in a contract for 3 years I didn't realize I was but I am. They were nice enough to wave the payment for November for me. Their response time is awesome. They would dispatch anybody out immediately or they would contact you if you had a problem. The equipment is too bulky and big. They are just very friendly and knowledgeable and it's very quick to resolve any kind of issue. They have a quick response when an alarm goes off. The customer service is always accessible. The system works well. It takes a long time to get through to the customer service rep when you call in. The equipment is pretty good. I have no issues.